Adding Classic Live Chat to your business is a big deal. 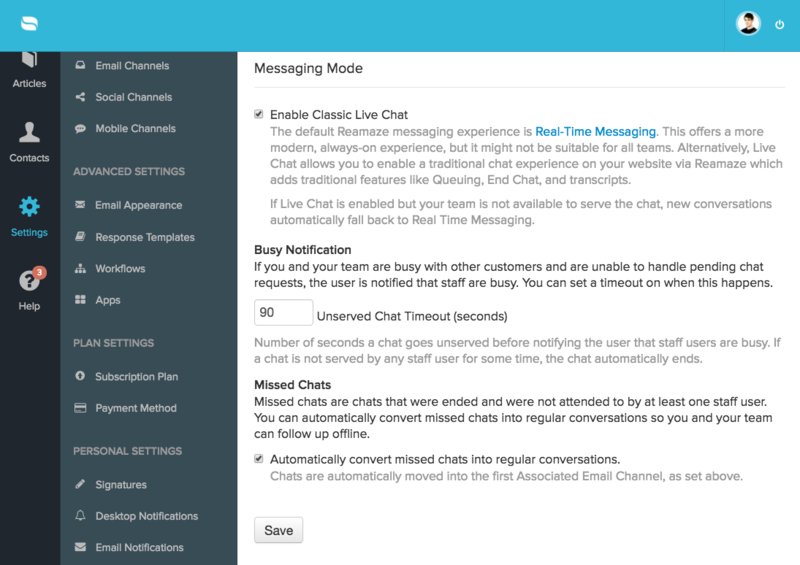 Unlike Real Time Messaging (the default way of chatting), Classic Live Chat requires your staff agents to be online. It's an amazing sign of growth and the cornerstone of having a customer-centric service culture. Here at Re:amaze, not only do we want to make that experience simple and integrated but we want to make sure your customers experience something seamless and intuitive. Let's get started. 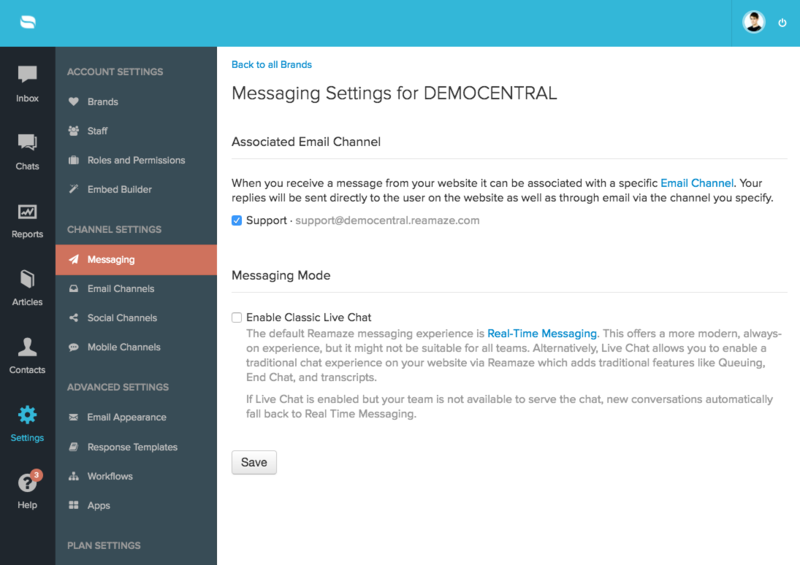 If you've already signed up for Re:amaze Classic Live Chat (only available in the Plus plan) you'll want to head over to the "Settings" page. Locate a section called "Messaging". By default, each of your brands will have Real Time Messaging enabled. 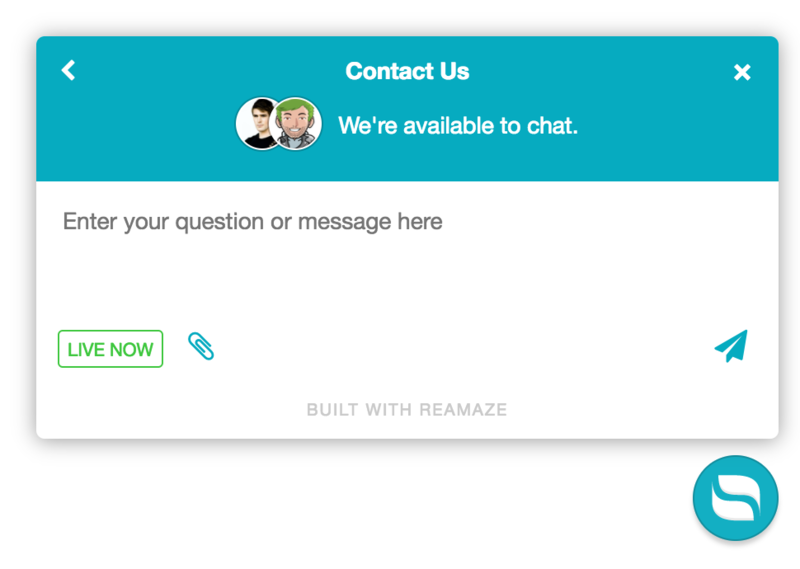 This is the default chat experience for all Re:amaze Embeds. Read about the difference between Real Time Messaging vs. Classic Live Chat. To enable Classic Live Chat, click on the "Manage Settings" link. Check the box to enable chat. Once enabled, you'll have the option to set the number of seconds needed before a customer is notified of your busy state so they can send a non live chat message. You'll also have the ability to turn missed live chats into regular conversations so you can follow up with the customer via email. Once Live Chat is enabled, each staff will have the ability to set their own office hours by clicking on the Live Chat Toggle at the bottom right hand corner of the dashboard. We all need a bathroom break once in a while -- agents don't need to be online all the time! 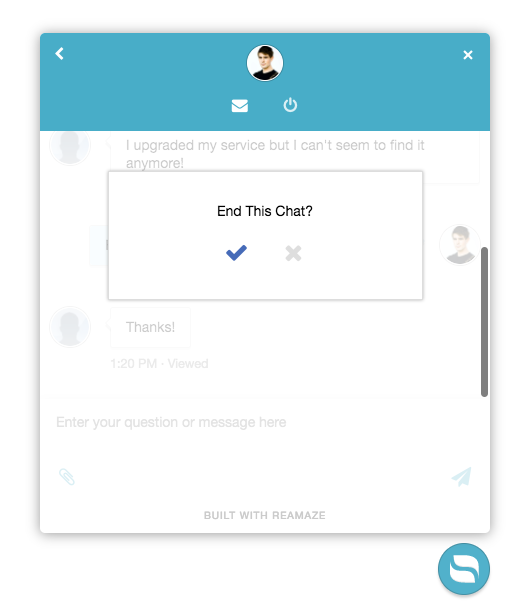 Re:amaze Live Chat supports on-the-fly status changes. Simply click the status indicator to temporarily stop Live Chat. Re:amaze is also smart enough to detect when no agents are available and turn off Live Chat by itself. After you've enabled chat, head on back to the dashboard. Your live chat status and activities are shown on the bottom right hand corner. When a new chat request comes in the status indicator will blink and pulsate. Clicking on the status indicator will allow you to temporarily turn off Live Chat without having to do it from the settings menu. On the left side are you active, queued, missed, and ended live chat sessions. Remember to turn on the relevant notifications for your staff. 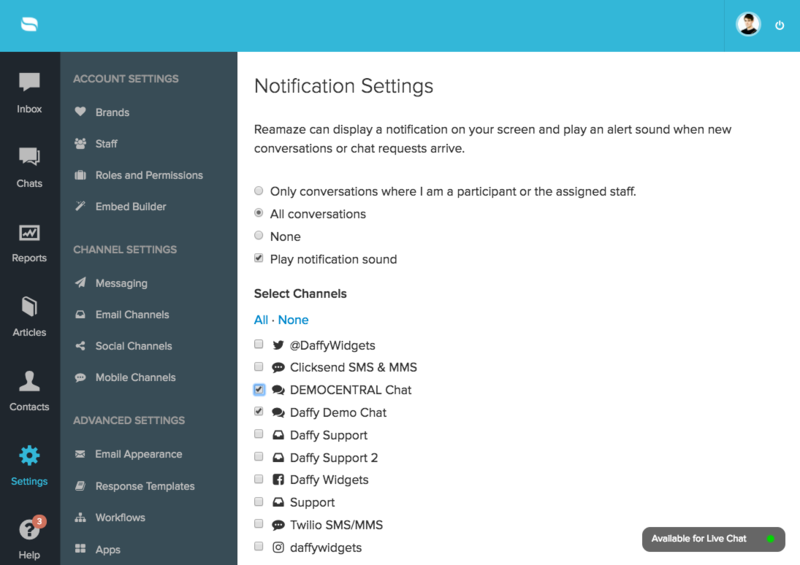 Re:amaze Live Chat utilizes desktop notifications with sound. When you're not actively looking at the window, new chat requests will notify you in a timely fashion. All Live Chats begin with your customer. 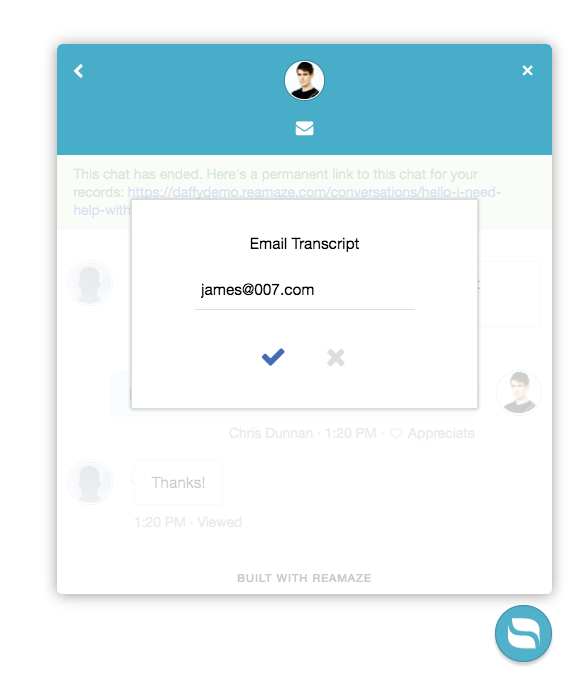 After integrating either the Re:amaze Shoutbox or Lightbox into your app or website, your customers will have the option to interact with you. When you set Live Chat to active, a "Live Now" indicator will appear. 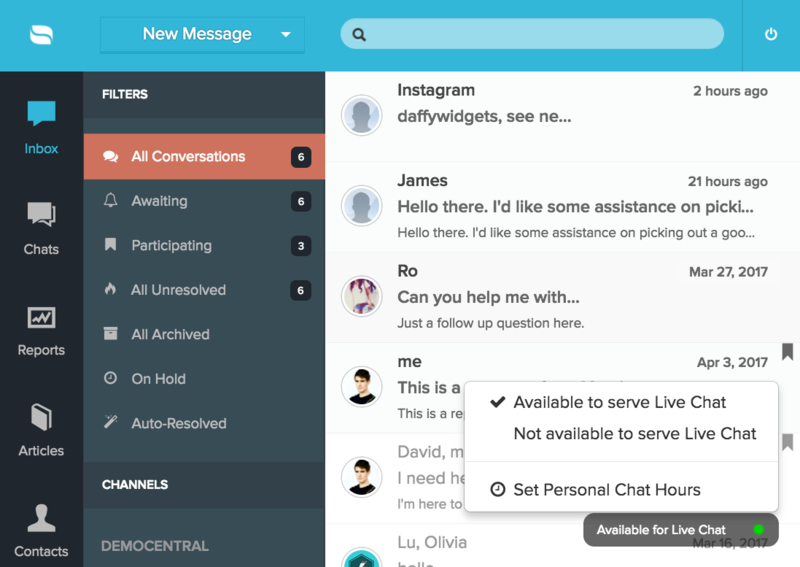 When a live chat request arrives, it will be allocated to your chats channel for service much like a new email request. The status indicator will pulsate for a set amount of time before it becomes an unserved chat. If an agent does not serve the chat request, the customer will be notified. As the agent replying, a persistent indicator will remind you that the conversation is indeed LIVE. You will still have access to all pertinent customer information to ensure a pleasant customer experience. Simply start/continue typing to alert the customer that you're there. As you type, the customer will be alerted that you're currently composing a reply. The alert will remain active for 15 seconds after you stop typing. This gives you and the customer some breathing room to collect your thoughts without disturbing the LIVE experience. Likewise, when the customer is typing a message, you will be alerted to perhaps wait for their reply. When your message is sent, the customer will receive your reply highlighted in yellow. He or she can "Appreciate" your every reply, maximizing your potential to amaze this customer. 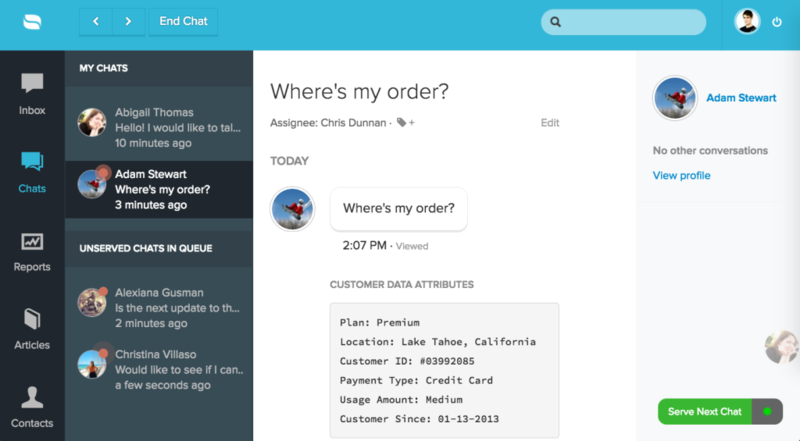 Customers can end a live chat conversation by clicking on the "End Chat" button. After a customer has ended the chat, they will have the option to view a permalink of the conversation and also send themselves a transcript to their email. As the agent, you have the option of ending a live chat session as well. 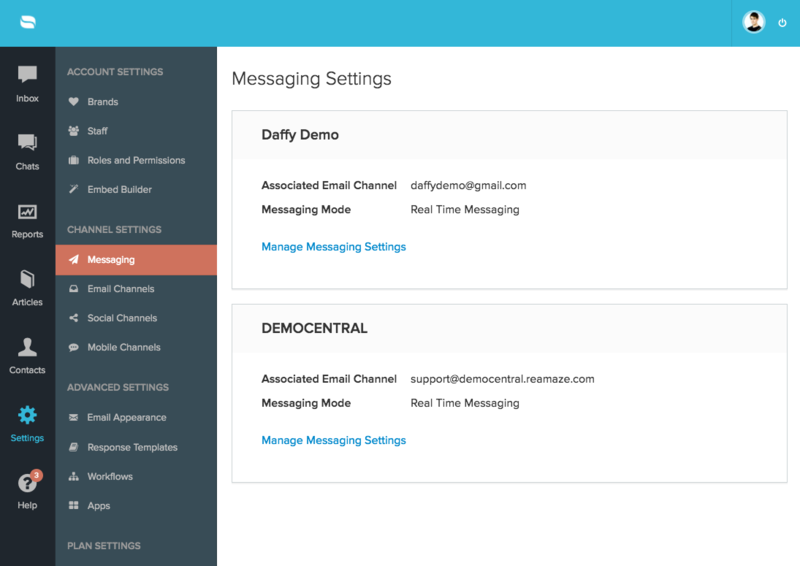 Once ended you'll have the option to move and convert the chat conversation to an email channel of your choice. The agent in charge can then easily follow up with the customer on what has been talked about.